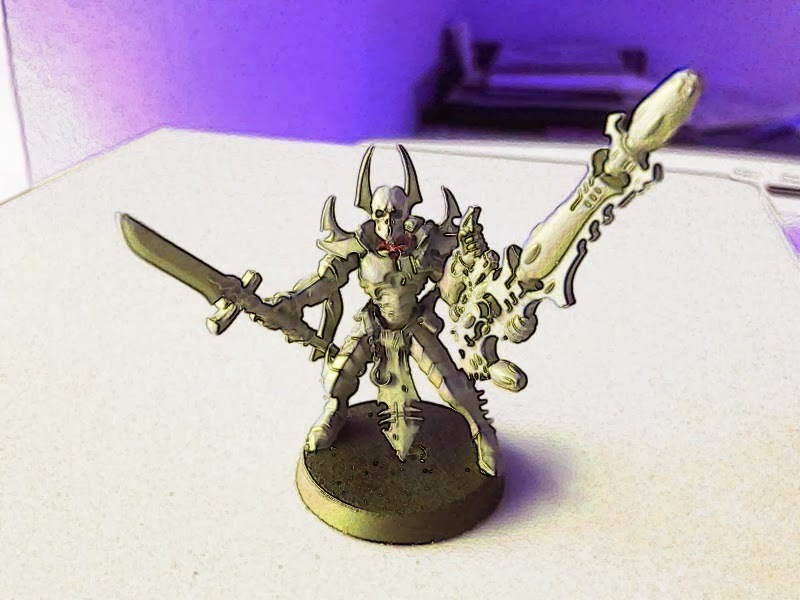 Rounding out my homemade reaper squad is my primary exarch model, probably called “Skeletor” by his peers and the the playground kids he bullies after school. My idea is that he has become such a powerful vision of Death that he psychically projects the image of a skull head for all to see. 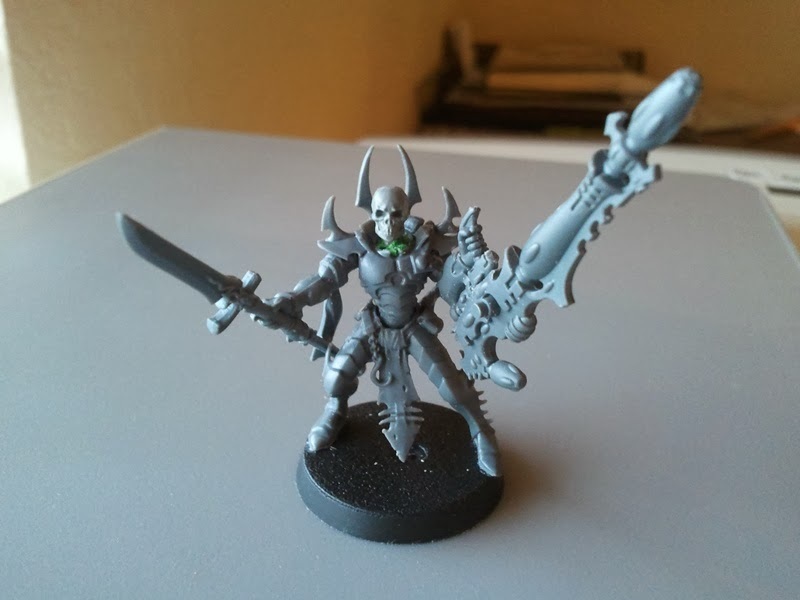 He is equipped with a homemade tempest launcher and a dire avenger spear (for that stylish grim reaper look). It was either the spear or a pointing finger, which I also liked, but with the big blade he is truly a vision of death. 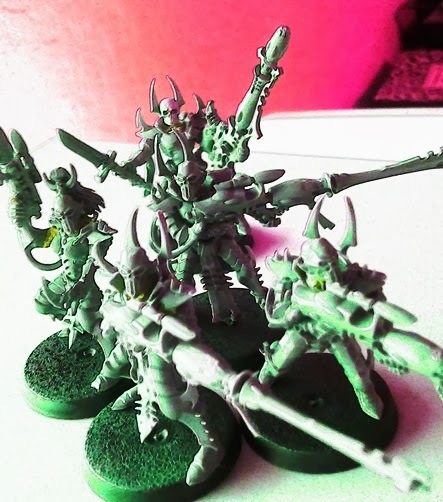 Obviously I like taking photos and playing with them, so enjoy these group photos. 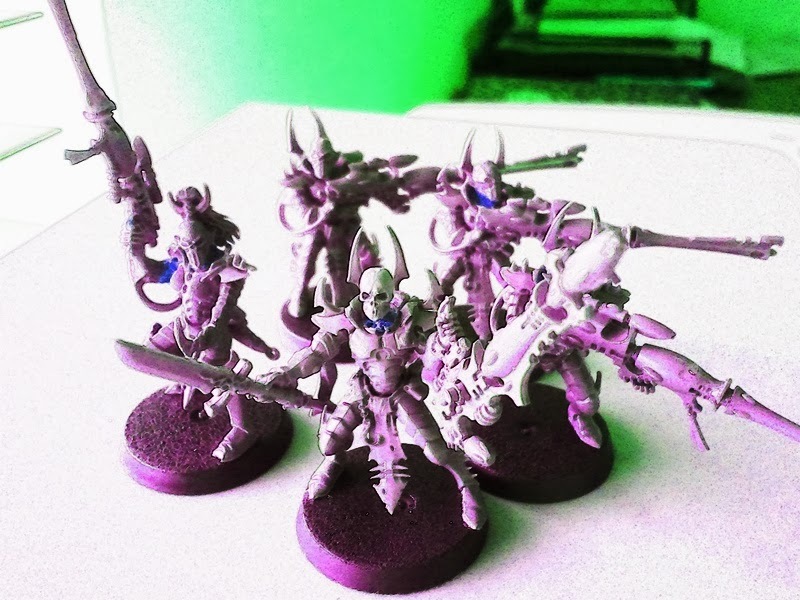 Hopefully I’ll get to painting this band of reapers very soon. 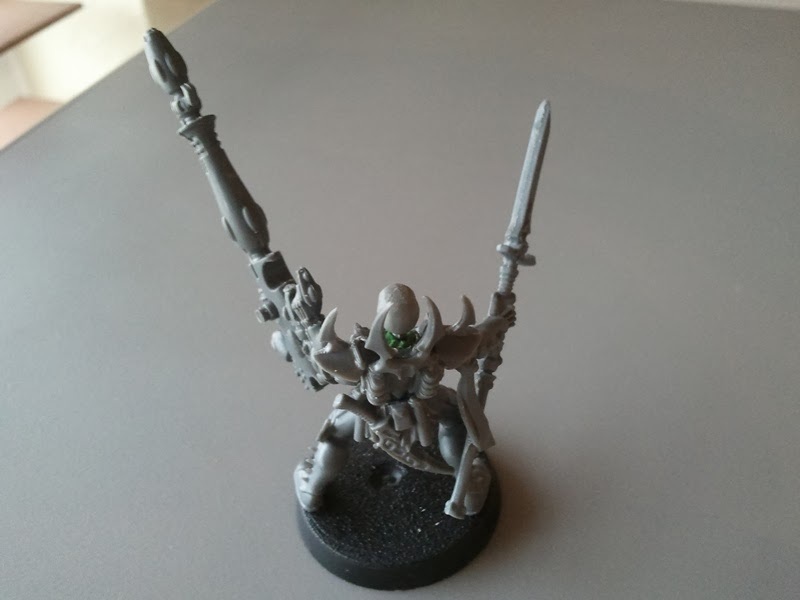 Great conversion and definitely a suitable Exarch model. 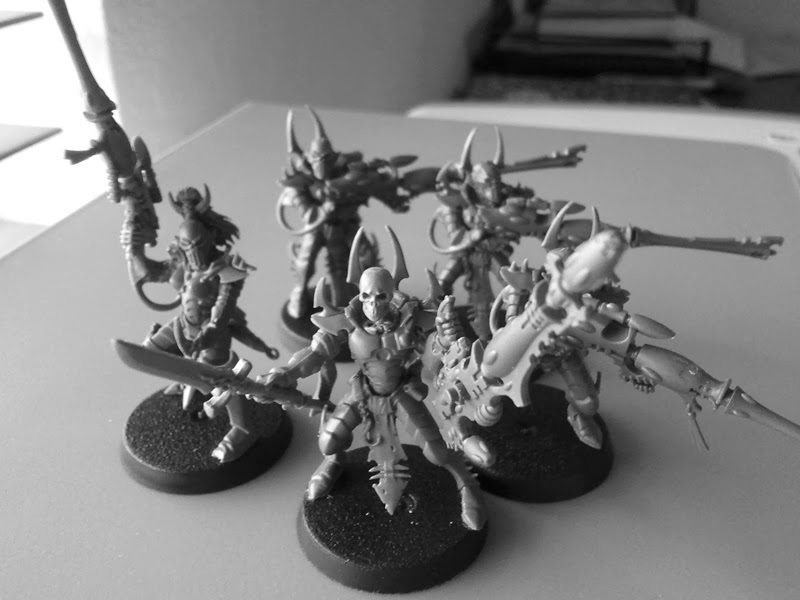 These guys will look great painted up. Nicely done, he fits well with the squad but definitely stands out as more elite than his peers.